A couple of holga images from Sooke last month. 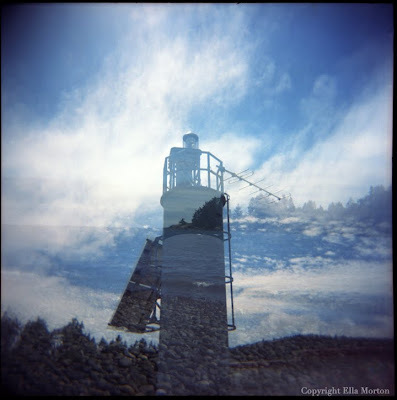 Double exposures and panorama images seem to work really well with a Holga. 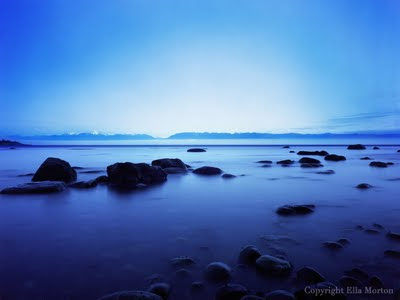 I took this picture a couple weeks ago in Sooke, BC. I'm not sure how I feel about it. I think these long-exposure photographs may be starting to get repetitive and I need to re-invent things, and come up with a new photographic obsession, or something. I also think I need to try putting a filter over the bottom of the image next time, so that the land and the sky are more the same tone.